Start your review of Jesica Palacios. Send a message to Jesica Palacios. Thank You! Your message has been sent to Jesica Palacios at AutoStar USA. Friendly salespeople, easy experience... would definitely recommend! They make car buying super easy and hassle free. We have bought two vehicles from Auto Star, and we have enjoyed both. Thank you! 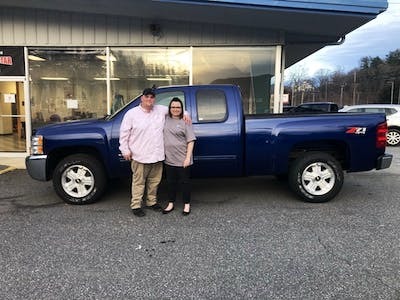 We appreciate your continued business with Autostar and we're so happy our Sylva team was able to help you find the perfect truck! Enjoy! The whole staff was envolved from jump. Amanda went over everything I asked her to, Shane kept me entertained the whole time and he even sang on the test drive. I never felt like I was buying a car. Jesica even offered to get us drinks and we werent even her customers. I highly highly recommend buying from autostar of Sylva I'll make sure my entire family goes there from now on!! Thank you so much! We sincerely appreciate your review and your business, and we are happy that the Sylva team was able to take care of you! Thanks for sharing your experience! Auto star of Sylva was so good to us! Jesica and Amanda are the absolute best. They were so patient and willing to go above and beyond. It was my boyfriends birthday and we spent the entire day there. They even surprised him with a birthday cake! They didn’t have to work extra hours but did without any problem to ensure we had the best experience possible! At the end of the day we were pleased with our 2015 Dodge Journey and the I incredible service we received! You guys are the best!!! Thanks so much! We appreciate you taking the time to write a review about your experience with our team in Sylva! We're happy to hear everything went so well with the purchase of your Dodge Journey! Great service and explained everything very well. Didn't leave me guessing about anything and was very understanding. They chipped my plate to a closer location so i wouldn't have to travel to get it. Thank you for your review! 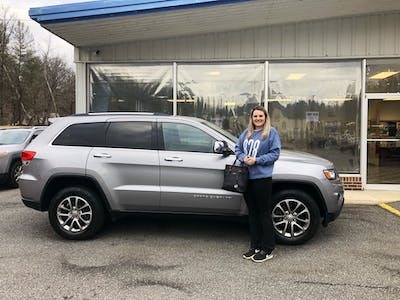 We're happy you had a great experience with Jesica here in Sylva! I gave them all 5 stars because they were very helpful and patient. They did everything that they could to put me in the right vehicle! They are super friendly and keep in touch with you about everything that they are doing! Thanks so much for your review! We appreciate you taking the time to write about your experience here in Sylva! "Auto star has an amazing staff"
Auto star is amazing they have a wonderful staff and they do whatever it takes So that you can drive off in the car of your dreams. Thank you for taking the time to leave a review! We're so happy you had a great experience with the team here in Sylva! "Very great place to buy a car"
It was really nice getting our Jeep from them. Very nice people to do business with when my brother gets his business he is going to buy a truck from them. Thanks for the review! We appreciate your business and are happy to hear you had a great experience at AutoStar of Sylva! Loved this dealership and the experience I had. Had been shopping for a few months and went to auto star and found my car within a week. Very professional and very helpful! She was very helpful and friendly with me. They worked with me on my trade to get andwe were able to get the deal done. Thank you! We appreciate your business and taking the time to leave this review for our Sylva location! 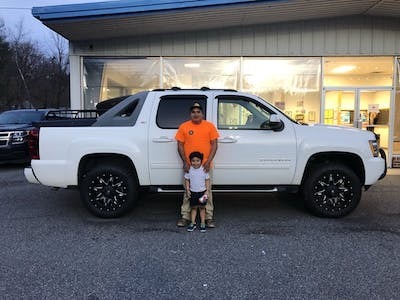 We're happy we were able to get you a great deal! Prompt, friendly, helpful staff, clean car, great customer service easy to work with would recommend this staff and dealership to others. Thanks for your help. Thank you for taking the time to leave this review! We're happy to hear you had a great experience with Jesica here in Sylva!